The retreat is still very much a haze to us. 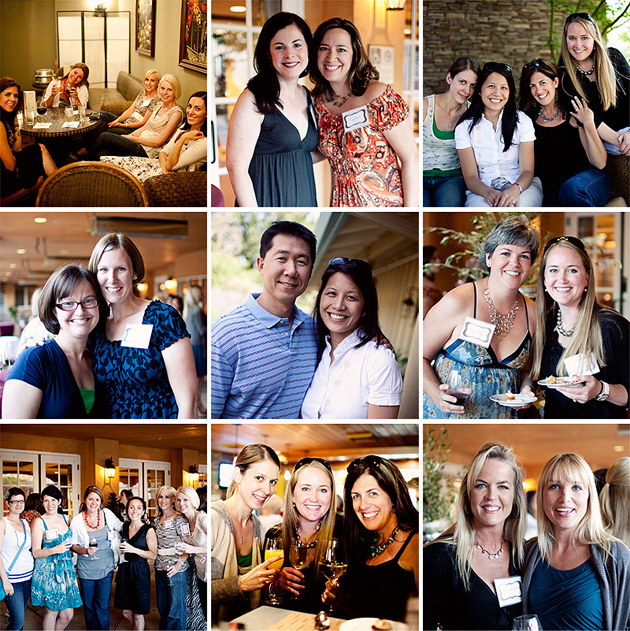 We are so humbled by the 50 attendees who flew cross country to join us in Napa. 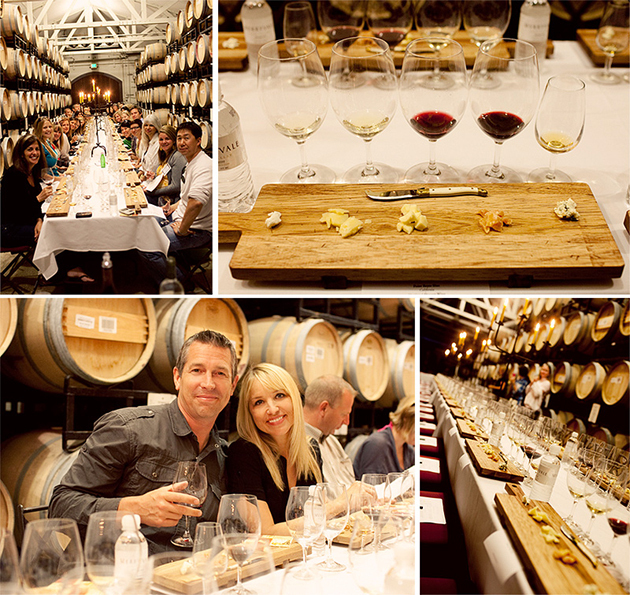 Our speakers were phenomenal, the wine and atmosphere – perfection, and the late night bonding with new & old friends was priceless. On our first night, Whitney, Sara, Tanya and I stayed up until 2 am or so putting together our member swag bags. Swag stands for “Stuff We All Get.” Every time you attend a workshop, convention or event, Swag is usually given as a thank you at the end. 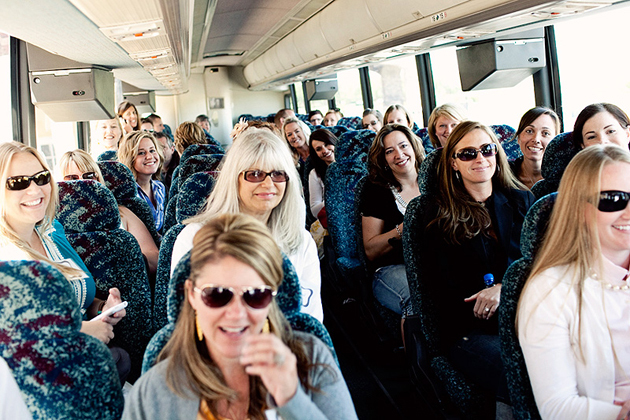 For our first retreat, we wanted to make the entire experience extremely memorable – starting with our gift bags. 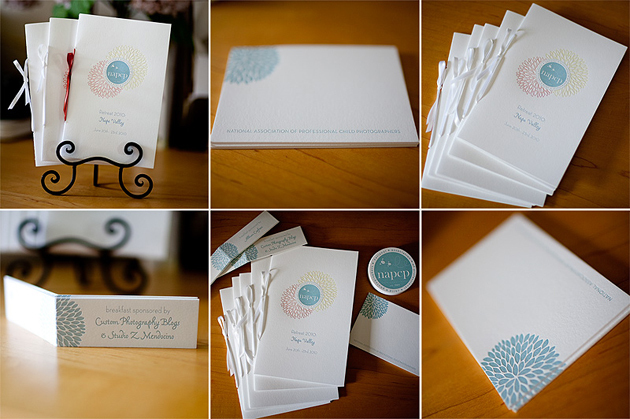 And one of our top sponsors, my good friend Zida of Studio-Z, created the most gorgeous letterpressed programs, table cards, stationary, and business cards we’ve ever seen. The below photos honestly do not do the pieces justice. You really need to hold them to appreciate them…. My absolute favorite part of the experience = the connections that were made. Online friends who were able to meet for the first time, share a glass of wine, and really bond…. Our keynote speaker, Tamara Lackey, discussed the importance of Photographer-Life Balance. This is a constant struggle for many working child photographers. How do we balance work, family, and living our own lives to its fullest? Along with being an incredibly gifted speaker, photographer, all-around awesome person, Tamara is also a pretty brilliant group therapist. Lots of digging deep inside, prioritizing and, real & practical tips for balancing it all. We were so blessed to have such phenomenal speakers at our first Retreat. Dane absolutely mesmerized the group. Fans lined up for their autographed copy of Fast Track Photographer. We also were able to get the inside scoop of his newly announced Fast track workshops! This workshop is a collaborative experiment aimed to do nothing short of transforming photographer’s businesses into exactly what they were made to do as a creative. It promises to be intense, challenging, rich and relational. 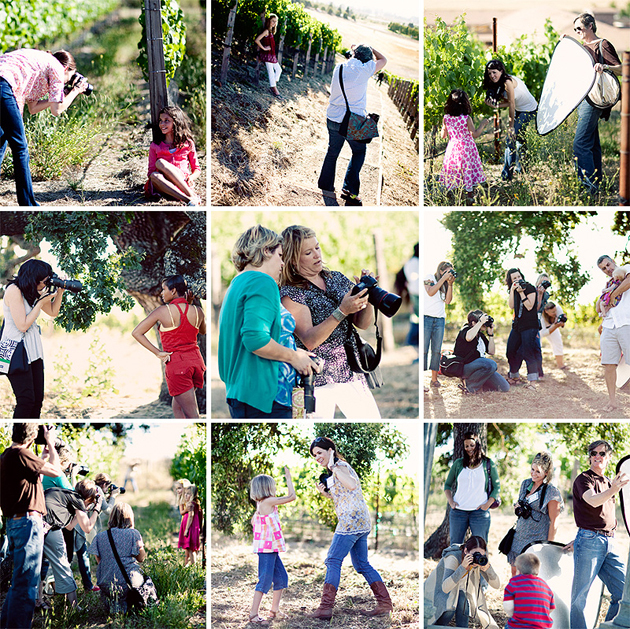 Afterwards, the group ventured outside at the Resort’s private vineyard and joined 15 child models from San Francisco for our Shooting Clinic. Dane is providing the group fill light with his 17″ macbook pro. Awesome. The shooting clinic was a huge success! The challenge: finding beautiful light, connecting with our subjects in such short amounts of time, and producing stunning images. Merryvale had a lovely spread prepared for our first wine tasting experience… The wine-cheese pairing was amazing. At Judd’s Hill, we were fortunate to have been able to sit in on Dane’s askdane.com with Tamara as his guest. Tamara recapped her presentation discussing Life and Work Balance. She shared some great tips with Dane and his viewers on being able to single-task (not multi-task) and structure your day to get more accomplished. Their podcast is available online here. 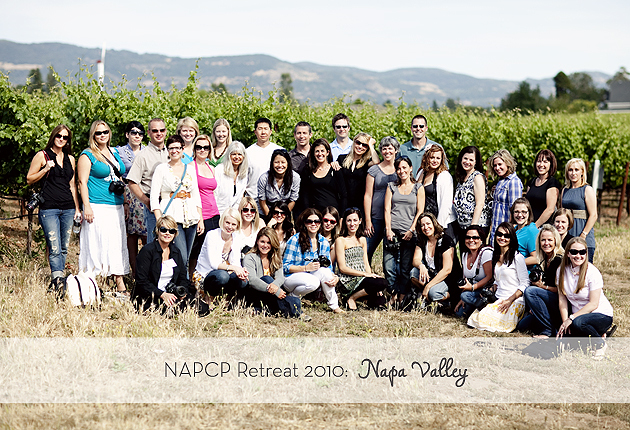 Thank you, from the bottom of NAPCP’s hearts, to all who attended. We can’t wait until next year!! WOW, what an amazing time for everyone!!! We’re so jealous that we couldn’t attend. We’re so excited for you kicking things off so well. To be honest, we wouldn’t have expected anything less from you. Bravo! I’m crazy to have missed this event! Thanks for the glimpse. Won’t miss it next year. What I like is the causal and intimate approach. Seems like a good environment to really learn and open yourself up to new horizons.